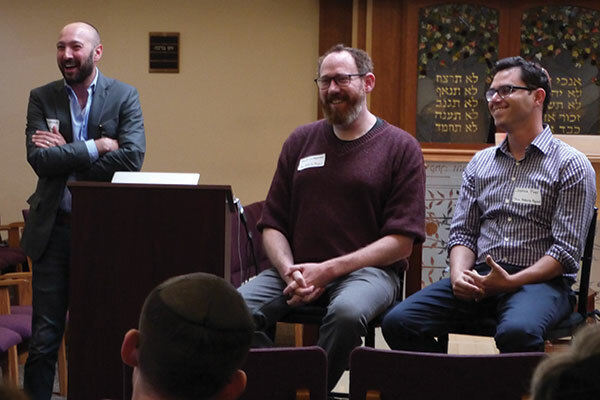 The young minds pushing to publish Jewish texts online include, from left, Daniel Septimus, Brett Lockspeiser, and Joshua Foer. In years and centuries past, a Talmudic genius or “ilui” was one with extraordinary scholarly abilities, who memorized and could quote entire folios of text and commentary. Now, with the Talmud available online and free for all to use, anyone with curiosity is a click away from accessing the text in its many layers. As of this week, Sefaria, the organization that is assembling a free library of Jewish texts online, is making available the William Davidson Talmud, the first free Creative Commons-licensed digital edition of the Babylonian Talmud. On behalf of the public, Sefaria has secured rights to Rabbi Adin Steinsaltz’s complete Modern Hebrew and English translations of the Talmud from the Koren Talmud Bavli. Their website, sefaria.org, features the traditional commentaries linked and interlinked to other texts in the Jewish canon. This is a concept that bends the traditional ideas of publishing and distributing texts. “We think of it as liberating content from restrictive copyright,” said Daniel Septimus, executive director of Sefaria. The multi-million- dollar project is funded by the William Davidson Foundation to commemorate the life of its late founder, a businessman, former owner of the Detroit Pistons, and philanthropist who also endowed the William Davidson Graduate School of Jewish Education at the Jewish Theological Seminary. Those visiting the site can learn Talmud, retrace Talmudic trains of thought through clicking to other texts, print copies of pages for review, create source sheets for teaching, and have free use of the material for non-commercial purposes. 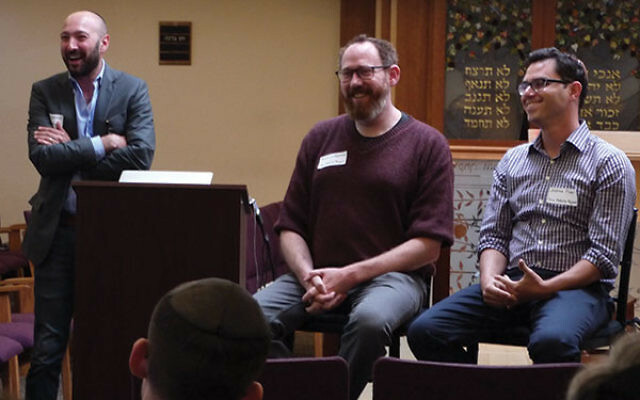 Foer explained that when they first approached Rabbi Steinsaltz about the project about three years ago through one of their board members, they knew he wasn’t a young man and were unsure how much he knew about digital technology. Turns out, quite a lot. The William Davidson Talmud will continually evolve as more translations, commentaries, and connections are added to the site. The English tractates that have been published are available, and the modern Hebrew translations will appear online later this year. Matthew Miller, publisher of Koren, said that he expects that the entire Talmud in English will be complete by late 2018 or early 2019, and will be available on Sefaria. The Sefaria library now includes 93 million words and had 470,000 users in 2016. Among their board members are Moe Koyfman, Felicia Herman, and Joshua Kushner. The Sefaria team consists of 15 full-time employees plus others working on projects in eight cities in Israel and North America.